If you’ve been following this site for any length of time, you’re already aware that for years my oldest son, Leo, was terrified of television. We’re talking phobia-level afraid. Many people would laugh and say, “Oh aren’t you lucky! !” but let me tell you, it was brutal. Televisions are everywhere! Plus, anyone who knows Leo in real life can vouch for the fact that he is a lot of kid. I was longing for a break, even if it was only for thirty minutes. Well, in the fall of 2014 I finally got that break. At almost 6 1/2-years of age, Leo outgrew his TV phobia. 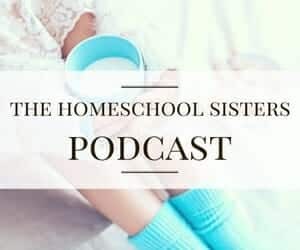 It was perfect timing because, as a sudden and unexpected homeschooler, I desperately needed a break here and there to plan. And so we started incorporating TV into our family’s routine. Not a lot, mind you, because we were years out of practice. We’d watch a show here, a documentary there, and a movie night almost weekly. Once we had TV success, all my friends started telling me about Minecraft. I was reluctant because, while I’m not a TV person, I’ve never liked video games. They just aren’t my thing. Furthermore, when working as a school psychologist, I saw way too many kids who were completely obsessed with them. Still, homeschooling an intense child can be hard. My friends assured me that Minecraft would be educational and fun. They promised that it would be a fantastic outlet for him and a break for me. They told me that Leo would love it! In November of last year, when I was drowning in holiday planning, construction, and kid illnesses, I introduced Leo to Minecraft. He did love it, and I could see the educational value, and it certainly kept him quiet and entertained. However… and this is sort of funny when you think about how for years screens would terrorize this child…he became obsessed. It was all he thought about, and it was all he talked about. When he wasn’t playing, he was thinking about playing. Folks, it consumed him. During those Minecraft weeks, I tried to work it to my advantage. He had to earn his Minecraft playing time. And he did because, as I said, he was obsessed. The problem was, once his allotted Minecraft time was over, he turned into a behavioral disaster. This is where that gifted asynchrony comes in, folks. He was acting mature and creating amazing things one minute and then the next he was tantruming on the floor like a two-year old. And that behavioral disaster happened every single time the video game ended. I loved the quiet the game provided but it wasn’t worth the aftermath. And so, we quit. I certainly don’t miss the behavior we had during those Minecraft weeks, but I’d be lying if I said I didn’t miss the quiet. Clearly, I have one of those kids who cannot manage screens well. Is there a way to get the educational value and fun without the screen-induced drama? This is where Code Master comes in, folks. It’s like a Minecraft board game… for one person. 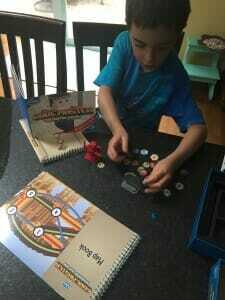 It’s a challenging logic and reasoning game that keeps kids happy and quiet for a long time! Plus, as they play they are learning to think like computer programmers! Disclosure: I received ThinkFun’s Code Master for free in exchange for an honest review. As always, I only share products that my family enjoys and that I think you will love. 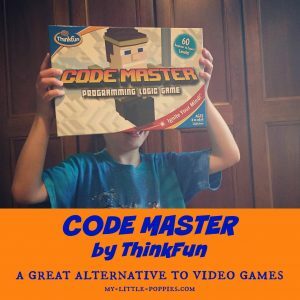 We LOVE ThinkFun and their products and Code Master is an instant hit over here and has already been played countless times. In recent years, there has been a huge push to teach children to learn to code, and with good reason. Computer science careers are among the fastest-growing and most lucrative careers out there. We live in a high-tech society. Just look around you right now: your computer, your tablet, your smartphone, even your car’s GPS… all of those devices utilize code! I don’t know about you guys, but I don’t picture our society’s fascination with technology slowing down anytime soon. I think it will only grow. As a result, one can assume that if you teach your child to code, you might be helping your child to be more employable in the future. Computer coding combines science, mathematics, technology, and problem-solving. Leo always tells me that coding is Computer Talk, and he’s absolutely correct. When you learn to code, you learn to communicate with the computer. You provide commands in a Computer Talk and the computer follows your instructions. It’s like learning a language. 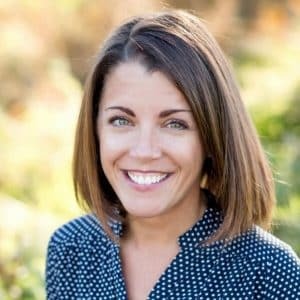 What if I don’t know how to code? How can I teach it? Not to worry! I have an answer, and I don’t think anyone will be surprised to learn that it involves a game. 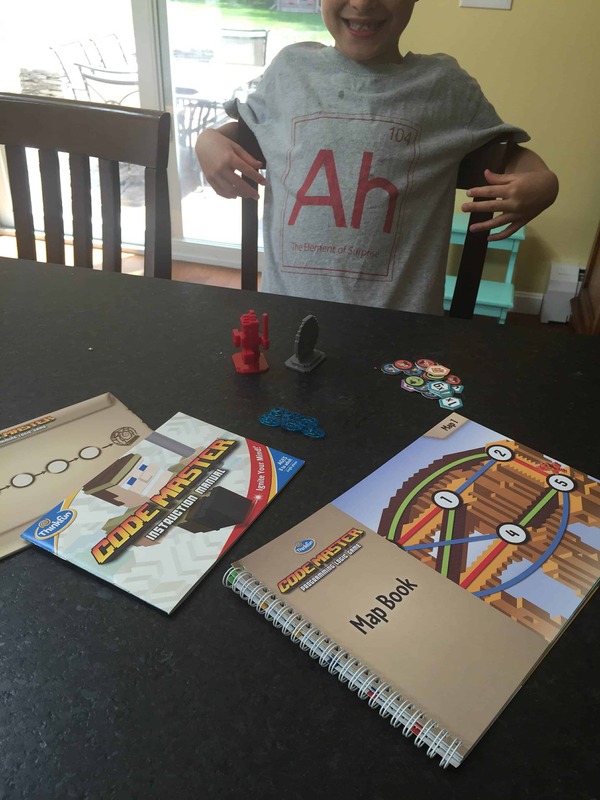 You can teach your child the basics of coding with board games! 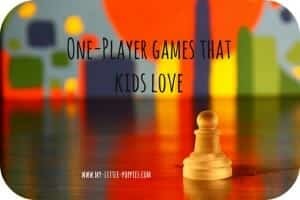 I’ve said it before but I’ll say it again: Board games are awesome! Code Master is a one-player logic and reasoning game for players ages 8 and up. It takes minutes to learn but far longer to master as the game includes 60 puzzles of increasing challenge! The first level is fairly simple and easy for young children to grasp, but over time and as they participate in additional challenges, they become acquainted with more advanced computer programming including loops and conditional statements. You can play this right out of the box and yet still enjoy a fun challenge! Code Master involves some of the fantasy elements that are popular in video games like Minecraft. The goal of the game is to navigate your avatar in such a way that you harvest all of the power crystals. By doing so, you will advance to the next challenge level. What do these game pieces and graphics remind you of, folks? Leo fell in love in seconds! 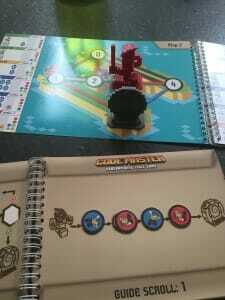 As soon as Code Master arrived at our house, we had to play it. Leo understood the game quickly and delighted in the challenge. I smiled knowing that he was quickly learning to think like a computer, and to visualize the program while having fun. Quickly, he got to work! Folks, the game kept him happy, engaged, and quiet. That last bit doesn’t happen very often around these parts. Code Master gave us the joy of Minecraft weeks without the aftermath. 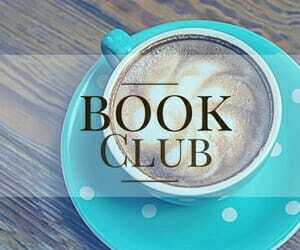 It’s a perfect activity for our family. In fact, Schizz and Leo have played the game a few times together. They take turns attempting challenges, so they have turned this one-player game into a two-player game. The best of both worlds! Ah! 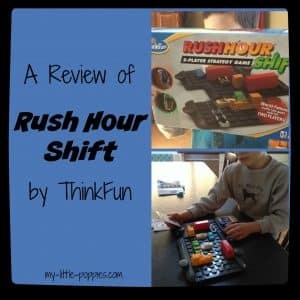 ThinkFun does it again! 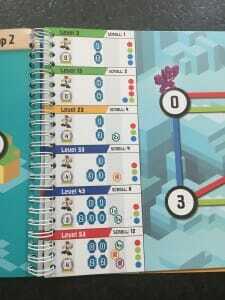 Choose a level and its accompanying guide scroll. Follow the challenge’s instructions for placement of tokens and game pieces. Determine the sequence of action tokens required to navigate the map. Collect your power crystals and land at the portal. Advance to the next level! 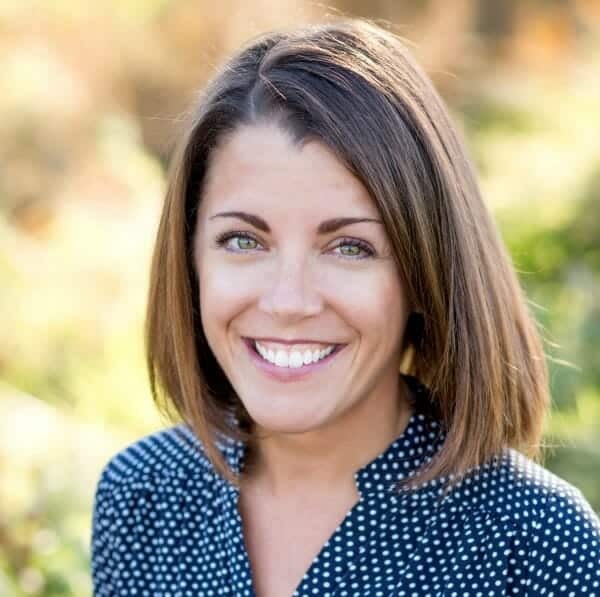 As mom to a kiddo who struggles with executive functioning skills, I can tell you that I especially love the “de-bugging” aspect of Code Master. Once Leo completes a challenge, he has to de-bug, or double-check his work. What kid out there doesn’t need practice doing that?? No behavioral aftermath here, folks! Although I’ve never been a fan of video games, I know that there are oodles of video games on the market today that offer educational value. The problem is, right now, I have one of those kiddos who cannot manage video games well. At this point in time, the video games are not worth the behavioral aftermath that I have to contend with. I love that Code Master offers the feel of a video game but without the screen. Looking to add it to your game closet? Code Master by ThinkFun retails for $24.99 and is available exclusively at Target. 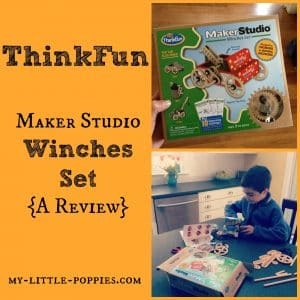 If your kids love to code, check out Robot Turtles! 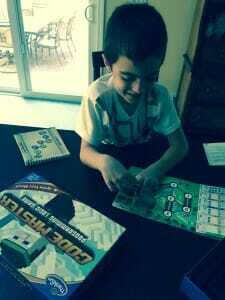 I jumped at the chance to try out Code Master in part because our family loves ThinkFun’s Robot Turtles. I feel like Robot Turtles and Code Master are siblings. My entire family can play Robot Turtles, and even the youngest kids are learning computer programming concepts, but Leo and T have graduated to Code Master, too. Both games offer coding fun, but in two different ways. With Robot Turtles you get to act goofy and make kooky Turtle sound-effects, resulting in belly laughter and fun. Code Master offers a similar challenge for an older audience. Robot Turtles is like the goofy little sibling and Code Master the cool older sibling! 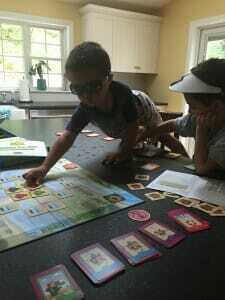 Speaking of goofy little siblings, here is our resident goofy guy playing Robot Turtles! This is a challenging one-player logic game that incorporates a marble run. The player must construct a marble run that meets the criteria on each challenge card. Challenge cards increase in complexity, providing endless fun. We have gushed about this game before both here and here. In this one-player game, players must use logic and planning abilities, in combination with lights and mirrors, to get the laser from point A to point B, according to each challenge card. Like Gravity Maze, cards increase in difficulty so your family won’t outgrow this game any time soon! We’ve gushed about it here and here. In this one-player logic game, the player must free his car from gridlock traffic. The challenges include four levels of play, from easy to expert. 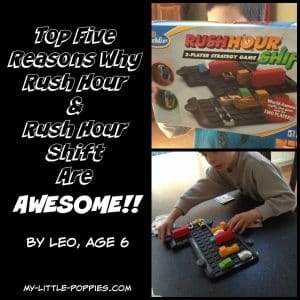 Extension packs are available for the Rush Hour obsessed (like us), and a junior version for your littlest gamers. We have gushed about Rush Hour here, here,here, and here. It’s one of our most favorite games! Just when you thought Rush Hour couldn’t get any better, it did. Rush Hour Shift is the two player version of Rush Hour, with playing cards added for luck and a shifting grid to provide additional challenge. I’m sure it will become an instant classic in your home, as it did in ours. We’ve gushed about it here and here. This is a brightly colored and super fun transparent card game that requires you to think fast and use spatial reasoning. These cards are super-durable and travel well. We’ve gushed about it here. I often say I wish this game had been around back in my swim team days. It would have been perfect for those long meets, wet hands, and wet surfaces! PathWords is so addicting! It is like a word search with a puzzle element. Using increasingly difficult challenge cards, you must use the colored geometric pieces to highlight words so that, in the end, you solve the puzzle with no pieces remaining. We gushed about it here. Zingo! 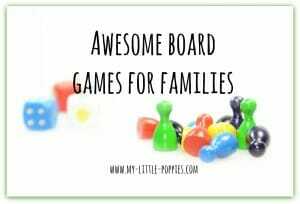 is a fun twist on traditional Bingo for your little gamers. Players must be the first to get three in a row (or, if you’re in our family- fill your card!) so that they can shout, “Zingo!” and win the game. The game involves matching tiles to the words, numbers, or pictures on your card. Several variations of Zingo are available, including a Sight Word Zingo that our family loves and a numeric version. We’ve gushed about it here. Word A Round is a fast and fun word searching game that can be played a couple different ways. The goal is to find a hidden word on each card. There are three rings per card and there is a hidden word in each ring. We will often play this game as a one–player game, too. 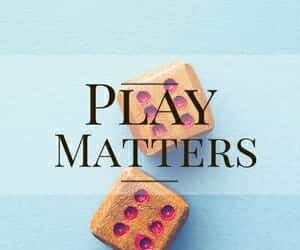 2 or more players, recommended for ages 10 and up. What is your favorite ThinkFun product? Do you have a child who cannot tolerate video games? Share here! 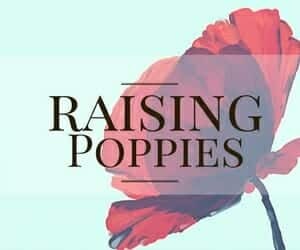 Follow Cait Fitz @ My Little Poppies’s board Games, Games, Games! on Pinterest. This is one area that my husband and I disagreed. We both think video games CAN teach some good things, but IMO the aftermath (meltdowns) and behavior during playing was not worth it. He persisted and convinced me to let him try. He allowed our son to play one hour of video games in the afternoon with conditions: 1. He must not meltdown afterward. If he did wasn’t allowed to play the next day. 2. He must control himself during the game and again, if he didn’t, he wasn’t allowed to play the next day. He has been successful at controlling himself. Since then, I’ve found a couple of moms who denied video games to their obsessed children, only for those kids to get old enough to be able to play without having mom’s permission and they still have no control over themselves. I met a woman with a 19 year old who was obsessed by video games. He would play games instead of eat. My husband and I are convinced that we have to teach our children self-control over these obsessions. Just added that to our list of Christmas gifts to buy for our kiddos. Thanks for the review!